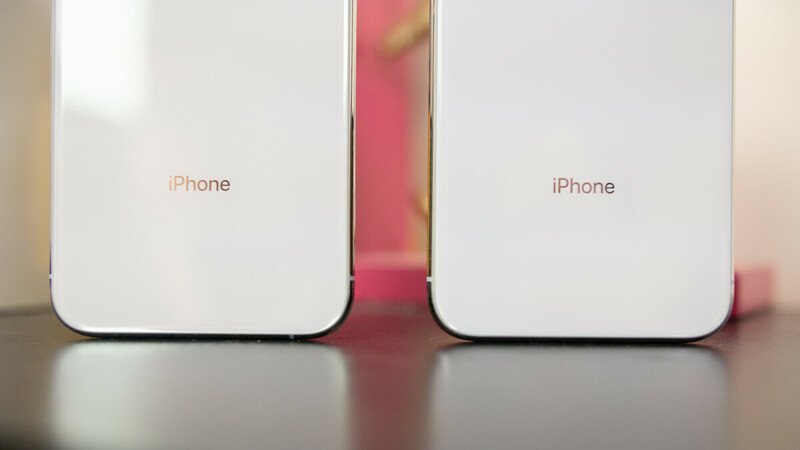 Despite the slowing iPhone sales Apple has faced over the last four months – iPhone revenue is down 15% year-on-year – the Cupertino giant revealed earlier today in its latest earnings call that its active iPhone base currently sits at over 900 million devices. This is actually the first time Apple has publicly disclosed this statistic and represents an all-time high for the product. Also, when Apple Watch, iPad, iPod and Mac devices are factored in, the number of Apple devices currently in use grows to a whopping 1.4 billion. Unlike the iPhone, Apple chose not to break down the active user base of its other products. However, it was confirmed that the total number had grown by over 100 million in the past twelve months. Moreover, the figure is up a very respectable 40% versus 2016 when Apple hit 1 billion active devices. Due to the growing importance of Services revenue to Apple, the Cupertino-based firm promised to periodically update user base figures going forward. This should help both analysts and investors better understand the performance of Apple’s hardware business, especially since it has now stopped disclosing quarterly iPhone shipments. Moving forward, Apple expects iPhone sales to decline once again this quarter. However, the company could receive a big boost once the April quarter begins. After all, Apple is reportedly working on an updated iPad, an iPad Mini 5, next-gen AirPods and the AirPower charging mat. The company is also expected to announce its long-rumored video streaming service in the near future. The past 4 years not including Q4 2018. Apple sold 790 million iPhones. Compared to the total number of Android smartphones that sold in the same time frame was 4.9 billion. Yes it is impressive those numbers. Ah, but with far shorter lifespans (1-2 years), only 2 billion of Google Android devices are still active (includes tablets and phones). When you add in iPads, that makes around 1.2 billion active iOS devices compared to Google's 2 billion active Android devices. Very impressive indeed for one manufacturer - particularly when you consider that those Apple devices are on average 4x as expensive as those Android devices. Far shorter lifespans? So android phone instantly become useless brick once it hit 2 years or when it didn't get the newest android version? Considering Google reports only 2 billion active Android devices (phones + tablets) despite over a billion Android smartphones being sold each year - it is well-known that Android devices have quite short lifespans. With the average price of Android devices hovering around 200 dollars compared to 800+ for Apple devices, it is quite understandable that so many plastic Android phones are thrown away so quickly. You are forgetting something.. All the Chinese Android phones that don't show up in Google's report. Not to mention other devices that don't register with Google (a lot of people use a cheap Android device as a feature phone). And yes, the very cheap segment of Android phones have poor quality. AOSP phones mostly in China only add another 30% so don't move the needle much (certainly not to the extent of that 4.9bn number). And since they don't run any Google services or use the Play Store are almost a separate platform unto themselves. Make the iPhone more interesting, and that number could rise. Wallets are speaking. I thought they were in billions. More likely 2g 3g and 3gs is not useable anymore. If they provided those numbers we'd obviously report on them but they don't, at least at the moment. IDC and Gartner do report smartphone numbers for all smartphone OEMs globally. Look it up Joshua yourself. You'll see what I have said is true. We cover all IDC and Gartner smartphone shipment numbers but they are all estimates. And as far as I'm aware, they don't provide estimates about active devices, which is what we're talking about in this article – it isn't about devices sold in the past four years. Google themselves reported there were 2 billion active Android devices (tablets and phones) in 2017. AOSP devices (mostly in China) only add an additional 30% to this number. I personally feel that there watches are a class act, compared to the rest as of today. Am talking about Series 4. More Cupertino lies. What Apple fail to mention is that traded in devices are not removed from the userbase even though most are scrapped for recycling. That phone is classed as still in commision . Put it another way, IOS has 15% of devices in use in the world. Android has 85% So if Apple has 900 million devices in use then that would mean that at 15% there would be over 7 billion active smartphones in use on the planet. There isn't, the numbers are somewhere just over 3 billion. I think what mootu is trying to say is that Apple counted some phones even when they are no longer active. For instance, John has an active iPhone 6s in October and then buys a new XR in September. Apple counted both devices even though the 6s is also no longer in service - but it was active. There's not really any proof that this is accurate - but there's nothing saying they didn't do that. The other issue is, lots of working people own multiple phones (personal and work) so while they have 900 million devices, hypothetically, 100million of them could be someone's second phone in which case the argument for 900million users to sell services too is not AS POSITIVE because why would someone pay for an Apple service twice? i.e. Apple music, Netflix, etc. "John has an active iPhone 6s in October and then buys a new XR in September. Apple counted both devices even though the 6s is also no longer in service - but it was active" He would still use same iTunes or iCloud account. You should read thiswww.asymco.com/2016/08/18/counting-apples-customers/ it's two years old. "iCloud accounts reached 782 million in February 2016. iTunes accounts reached 885 million in September 2014 Active devices reached one billion in January 2016. That number is likely above 1.1 billion now. (Includes all devices, hence Macs and Apple TVs)." I don't know how Apple get the data, but i'm quite sure they don't count my old 3gs, 5 and 6s which i still have to that 900 million. They will count those if at any point during the quarter you've had any of those devices turned on, even if only for a moment. How many people have an old iPhone that they've given to their kids as playthings for videos and games that are still counted despite not being used as a phone anymore. Apple knows they won't make money off those, but for statistics they're still worth counting, especially with investors being doubtful. Old Apple device handed on to family members still count as additional users and every kid who is now using an iPhone is indeed a current and potential future customer for Apple - it may be their parent's credit card that is used to buy their games, but it is they who are driving the purchase. So what you're telling me is that there's a drop of 200 million active devices since 2016? That all sounds very negative if you ask me. Read it again "Active devices reached one billion in January 2016. That number is likely above 1.1 billion now. (Includes all devices, hence Macs and Apple TVs)." Current active devices are 1.4 billion, growth of 300 million. Apple reported that their active user base has grown 40% since 2016. Very impressive growth rate.